This article was originally posted at Climate Progress. View the original article here. The government of Queensland, Australia is just beginning to implement a new energy policythat changes the way businesses are charged for electricity, a policy that the solar industry says is designed to make sure businesses have no reason to install commercial-scale rooftop solar panels. According to a report in RenewEconomy, the policy reduces the price of actual energy consumption for businesses, but increases the price for energy service in general. That “service fee” has made it so businesses that were originally charged $42 dollars a day are now being charged $488 a day. With the area’s Goods and Services Tax, that amounts to a charge of $533 every day for electricity use. Prices on energy consumption have fallen to 10.4 cents per kilowatt hour from 11.6 center per kilowatt hour, the report said. 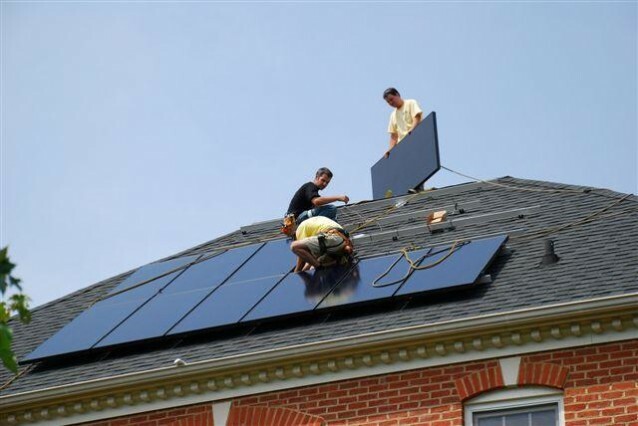 This fee is “horrifying” members of the solar industry, the report said, because now businesses have no monetary incentive to lower their electricity consumption by installing solar panels or investing in energy efficiency machinery and lighting. What the fee really amounts to is a fixed-price system that makes it so even low-energy consumers now have to pay much more just for using electricity — the amount of electricity used is now less of a factor in the bill. The Queensland government has favored this approach, the report notes, because it protects grid operators by giving them a more stable income, and boosts the dividends paid to the government. However, the Queensland government has been roundly criticized for trying to protect the grid operators by actively preventing the solar industry from making a mark in the region. In 2013, RenewEconomy reported that the Queensland Competition Authority — the same agency that implemented the $500 fee rule — supported putting extra fees on residential solar customers. They did so “even though it admitted that they would be more costly, ineffective, unfair and possibly illegal,” the report said. The fixed-price system the Queensland government has favored, however, could have unintended consequences. As financial services company Morgan Stanley has noted, these types of policies could frustrate low-energy users to the point where they may try to remove themselves from the grid altogether. “There may be a ‘tipping point’ that causes customers to seek an off-grid approach — higher fixed charges to distributed generation customers are likely to drive more battery purchases and exits from the grid,” Morgan Stanley researchers wrote last week. While Queensland is just one small part of Australia, the country’s government as a whole has a storied history of actively preventing any measure that might promote clean energy or policies that would help fight climate change. Prime minister Tony Abbott, who in 2009 said the science behind climate change was “crap,” has employed an anti-climate agenda in the country that’s included angering world leaders by downplaying the issue, axing Australia’s climate commission, and abandoning greenhouse gas emissions targets. Recently, Australia became the first countryin the world to get rid of its carbon tax, despite the fact that it was working. Meanwhile, the last two years in Australia have been the hottest ever recorded. Those above-average temperatures are expected to continue rising in the coming years. From $42/day to $448 (+gst). That can’t be right. That is $178,120 (+gst) per annum. That’s more than many business’s revenue.